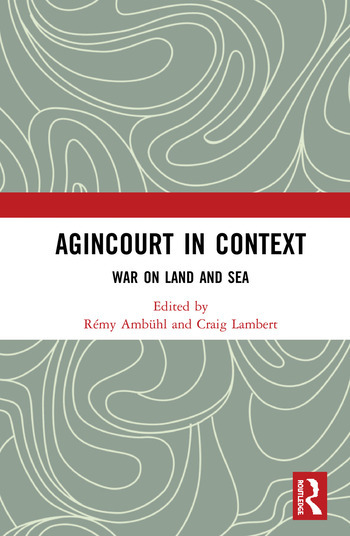 This book investigates the Battle of Agincourt—which continues to be of immense national and international interest—as well as the wider conduct and organisation of war in the late Middle Ages. In England, Shakespeare’s Henry V ensured that the battle holds a place in the English national consciousness, and through the centuries that followed the story of Henry’s famous victory was used to galvanise English national spirit in times of war. In France, the immediate impact of the battle was that it helped to galvanise French national awareness in response to an external enemy. This book showcases new research into Agincourt and the wider issues of military recruitment, naval logistics, gunpowder and siege warfare, and the conduct of war. It also takes a wider European perspective on the events of 1415 by including research on Portuguese military organisation at the time of Agincourt. This book was originally published as a special issue of the Journal of Medieval History. Rémy Ambühl is a Lecturer in Medieval History at the University of Southampton, UK. He has written extensively on prisoners of war in the late Middle Ages. His new interests also include the practice of surrender in the fourteenth and fifteenth century, which will be subject of his next research monograph. Craig Lambert is a Lecturer in Maritime History at the University of Southampton, UK. He has written a book and numerous articles on naval operations during the Hundred Years War. Recently he completed an AHRC-funded project that has produced a free to access website of c. 53,000 ship-voyages (c.1440-c.1580) (www.medievalandtudorships.org).